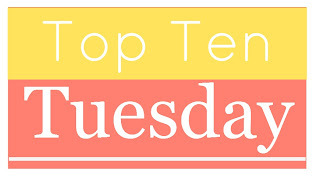 Today's Top Ten Tuesday topic from The Broke and the Bookish is the Top Ten Last Books that Came Into My Possession. This one was harder than I expected it to be! Turns out I pick up more books here and there than I realize! 1. 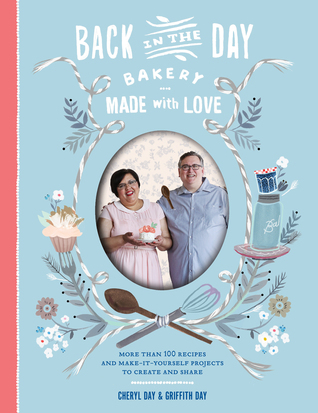 Back in the Day Bakery: Made with Love by Cheryl and Griffith Day - I loved their first cookbook and this looks like it's going to be just as good. Source - Library but I'll probably be buying my own copy. 2. Straight Up Tasty by Adam Richman - This looked intriguing and like it would have fun stories and recipes my family would actually eat. So far I'm not disappointed. Source - Blogging for Books. Expect the review soon! 3. The Hitchhiker's Guide to the Galaxy by Douglas Adams - We actually own a copy of this book but it's several books in one so the actual book is pretty big and the pages are almost onion skin. This is for my July Reading Assignment. Source - Library. 5. Rome in Love by Anita Hughes - I read and enjoyed a previous book by Hughes and this one with tie-ins to Audrey Hepburn was impossible to pass up! Source - Author/publisher. So these are my 10 most recent books and we're just going to talk about the span of time they showed up in! I love my library! I do wish I used it more but I keep getting books from other sources and don't use it as much as I'd like. Rome In Love looks good, that one caught my eye when I saw it somewhere last week. And Hitchhiker's Guide- looking to your review of that one. Fun! I really liked the last book of Anita Hughes' book so I'm looking forward to this one. I just started rereading Hitchiker's Guide and am loving it! I always never realise how many books I have actually obtained, it's a nightmare. Half the time I find books and am like where did they come from. I have never read Hitchhiker's guide to the galaxy but I know many people love it. I'm pretty sure my books multiply when my back is turned. It's not good to really count how many books come in! Looks like you have a little bit of everything in that list! I have read Sanctuary Island and The Peach Keeper on your list and enjoyed both of the them. I can't wait to see what you think of these books. Oh good! I haven't heard much about either so I'm glad to hear you enjoyed them. I think Hitchhikers Guide would be fantastic on audio! Those huge collections are absolutely impossible to read. I'm thinking about replacing it with the single titles. They take up less shelf space but you can't read them! I love that cover on High Ball!! I am going to have to add that to my TBR list. Along with a few others. :) I love the variety of your books. Isn't it awesome! I'm really looking forward to it! What a good mix. I've had Andrews to check out for a while. Hope they're all great reads! I'm looking forward to the Andrews. I've heard great things about her books so I'm really excited. You have a great assortment. I'll look forward to hearing about the cooking books. And I want to read The Naked Eye too and I'm on the same blog tour I imagine. I have a copy of The Peach Keeper, but not sure when I'll read it. You know, I've meant to read that author for pretty much forever and have yet to read one of her books. Oh yay! I hope we both enjoy The Naked Eye. It looks great! I can see how it wouldn't work for you. I love it but I can see how the style wouldn't be for everyone. I've heard good things about Sarah Addison Allen. I should totally look into her books. I have a bit of a difficult time with this topic too. There's just so many books! It's a little shocking how many I get in a short period of time. I'm looking forward to The Peach Keeper. She's an author I've really been wanting to read. Not only is that a great assortment of books, I love that they came from so many different sources. Enjoy! I can't resist a 1920s setting ever! I'm really looking forward to reading this one. Come Hell or Highball sounds really fun. Also Straight Up Tasty is one I think I need to check out - Great group of books - Enjoy! Straight Up Tasty looks so yummy! I can't wait to try some of the recipes. I've read Sanctuary Island and want to read Beach Town, will get to it at some point. Very nice win! Also have The Peach Keeper on my bookshelf to read some time in the future! Thanks! Sanctuary Island looked so good and I'm really looking forward to Beach Town. The Peach Keeper looks so good and I'm really looking forward to trying Allen's books. Me either! I'm so excited to see where the story goes next! I've always wanted to read The Hitchhiker's Guide to the Galaxy. I must remember to pick it up from the library sometime. Enjoy all your books! I'm really enjoying the reread of this one. It would be fantastic in audio if you could get that! 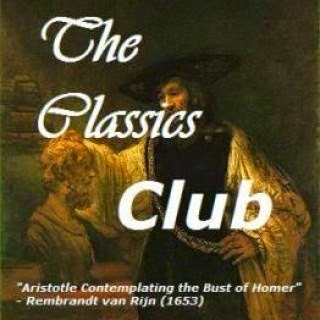 Hitchhiker's Guide...One of the most enjoyable diversions I've ever taken. I'm really enjoying this reread and I'd love to get it in an audio! It's definitely an enjoyable diversion. 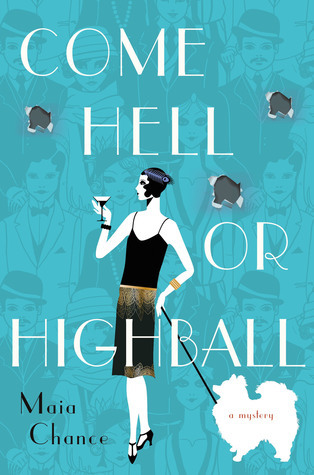 Oh, I love the cover and title Come Hell or Highball. I hope you enjoy that book. I don't like reading onion skin books. I hope you enjoy The Hitchhiker's Guide! I am intrigued with Back in the Day Bakery. Thank you for sharing it and the others you mentioned. I get most of my books from the library, too. The only problem is I can't always predict when I will get them and often all my holds arrive at the same time. Thanks for visiting my blog. I still have read Hitchhiker's Guide. That definitely needs to be on my too read list. So many nice books and I haven't read any of them. I hope you enjoy them all! Haha! Books literally show up everyday one way or the other. I say my library get Beach Town in and am thinking of giving it a go. I've not yet read one of her books but it seems like a good summer time read. I really want to read something from Sarah Addison Allen this year too. I'm not sure which book I'm going to start with though.